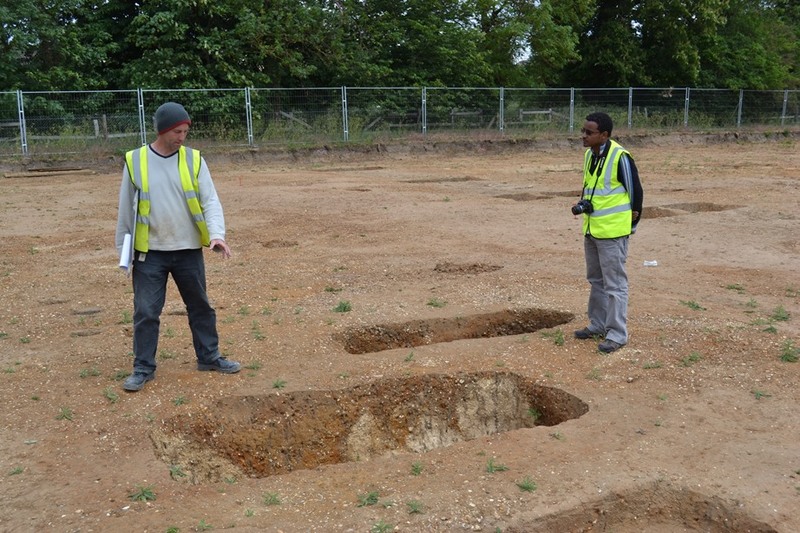 In 2010 the Mursiland Heritage Project supported an exchange to the United Kingdom for a member of the ARCCH (Ethiopia’s heritage authority), to experience large-scale commercial archaeology there and to visit a range of cultural heritage sites, including the Stonehenge and Avebury landscapes each holding ‘World Heritage’ status, Salisbury and its magnificent cathedral, the university towns of Oxford and Cambridge, the industrial heritage of Manchester, and of course the unique city of London. Visit to an Anglo-Saxon site at Trumpington Meadows, Cambridge. Site Director Ricky Patten of the Cambridge Archaeological Unit explains the excavation of a rare cemetery of ‘bed’ burials.